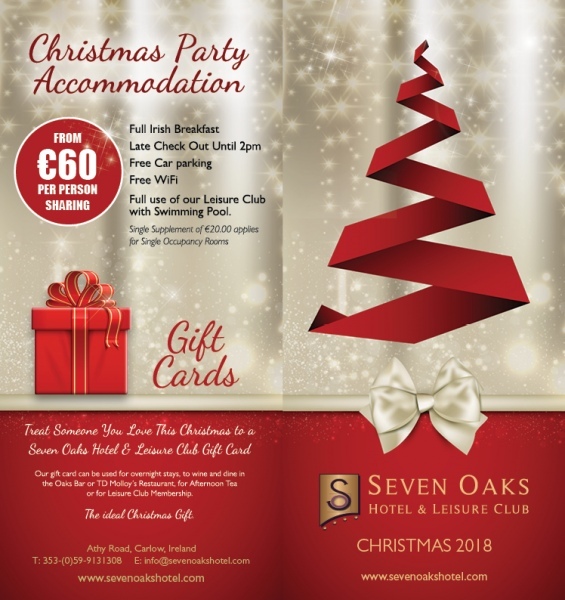 Join us for your Christmas 2018 Party in the Seven Oaks Hotel, Carlow. 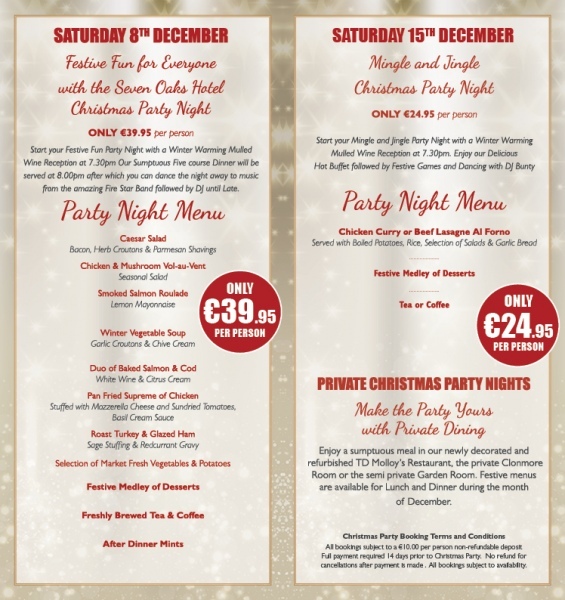 Enjoy our mouthwatering Christmas dishes and dance the night away with our house Band Firestar and DJ. Our Christmas party nights promise to be filled full of Christmas cheer, mulled wine, delicious food and great entertainment.